Bulguksa is located on the slopes of Mount Toham (Jinheon-dong, Gyeongju city, North Gyeongsang province, South Korea). 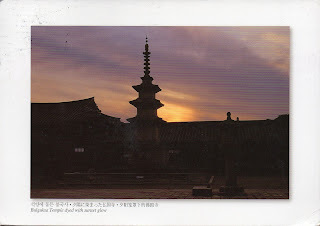 It is a head temple of the Jogye Order of Korean Buddhism and encompasses seven National treasures of South Korea, including the Dabotap and Seokgatap stone pagodas, Cheongun-gyo (Blue Cloud Bridge), and two gilt-bronze statues of Buddha. The temple is classified as Historic and Scenic Site No. 1 by the South Korean government.